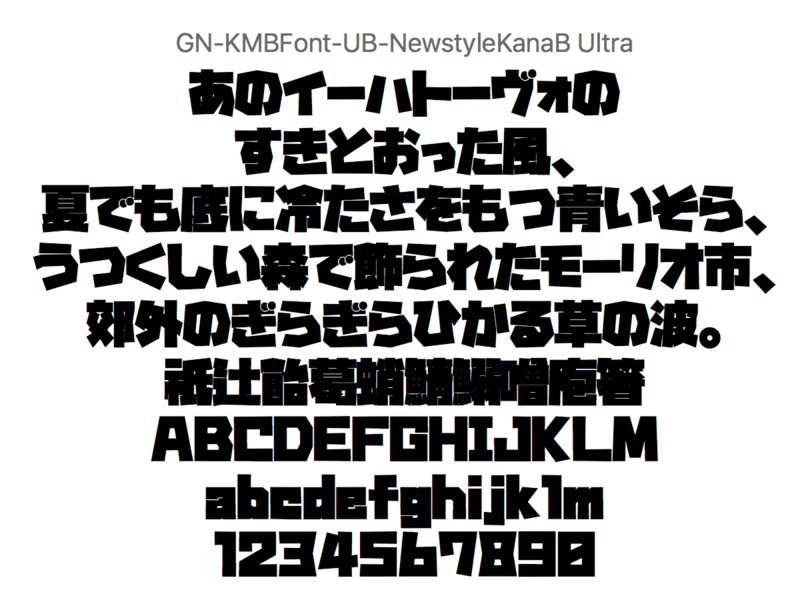 GN Kill Gothic U (キルゴU) is a display style Japanese font that is free to download. It features ultra thick, angular strokes, makes it suitable for “in-your-face”-ish headlines and titles. It comes with 3000+ kanji characters, as well as the hiragana, katakana and more. 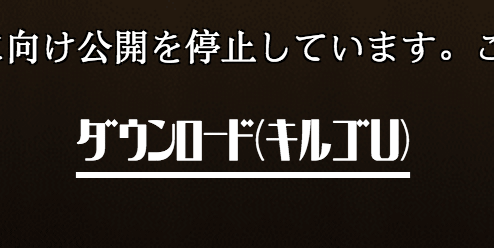 This font comes with 3 kana variations. *To download, visit the download page above, scroll down and just click on the link with underline to start the download. Hi, the download button is at the bottom of the page. Just look for the bold underlined text link. If you wait for a bit on the webpage, it will load and you will be able to see the link correctly! I thought the same thing, but it loaded eventually. why does the font translate to engilsh when i try to install it to my fontbook? Is there a way to turn the unicode off?